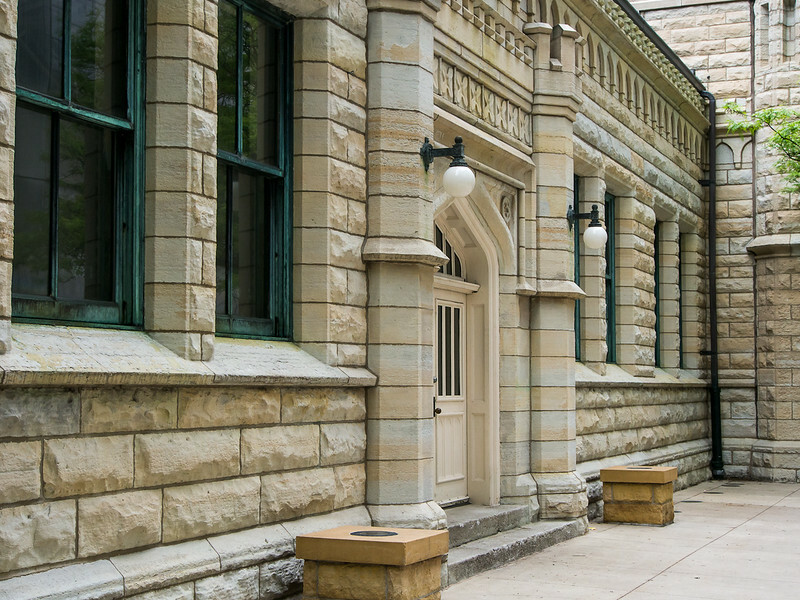 Intimate image of the Water Works building in classic limestone architecture. One of the few structures that survived the Great Chicago Fire of 1871. Today, it surrounded by the skyscrapers of North Michigan Avenue.